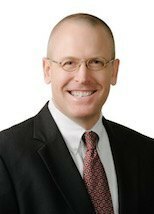 Mr. Klemawesch joined the firm in 2014. His practice includes all aspects of both criminal defense and personal injury in both State and Federal Court. Prior to joining the firm, Mr. Klemawesch worked as an Assistant State Attorney in the Sixth Judicial Circuit, Pinellas County, Florida, where he tried over seventy-five cases to juries, including cases involving homicide, hate crimes, sexual battery, weapons charges, and many other areas. He was a member of the Vehicular Homicide Squad, focused on the investigation and prosecution of severe DUI cases involving significant injuries and deaths. Before working for the State of Florida, Mr. Klemawesch worked at several Florida law firms, practicing civil and commercial litigation; he also served as a Judicial Clerk for the Honorable Gregory Presnell, United States District Judge in the Middle District of Florida. Mr. Klemawesch graduated in the top 3% of his law school class, and was a member of both the Trial Team and Law Review. Mr. Klemawesch has worked as a teacher in a Maasai community in Kenya, teaching English to elementary school children, and served with Doctors Without Borders in a trauma hospital in Port Harcourt, Nigeria.